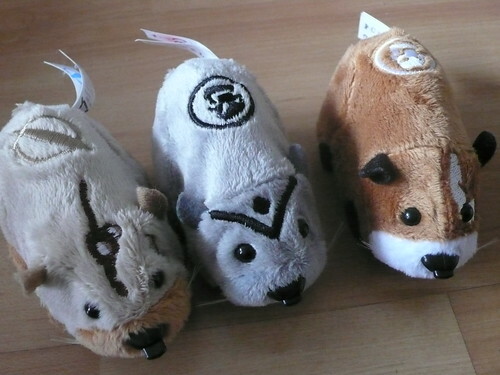 We bought these Kung Zu hamsters just after Christmas. Hadn't played with them much. (They're on sale all over the place, not sure they're selling well.) Then I started reading Alone Together and spotted that they're going to mentioned in there. So I thought I should have a play. Then I went to see Mr Webb at the Royal Institution last night. He was very good. (And there's a similar talk with video here.) He talked about their presentation in the Argos catalogue - they boast ' hilarious sounds' and that they're 'artifically intelligent'. So I thought I should have a play. Then I wondered why I felt like I should be having a play and it's this: it feels like that moment when Victorian botanists went out and catalogued and collected the world of plants and flowers - trying to learn big lessons from small observations and connections. That's what we're doing. The Argos catalogue is like the Galapagos Islands. This is not like the beginning of the web where you could have an idea and then build something - we mostly can't build domestic robots yet, we just have to examine what China and Mattel throw over the wall and see what we can deduce from it. I tell you what it also feels like - it feels like the early iterations of this genetic algorithm thing. 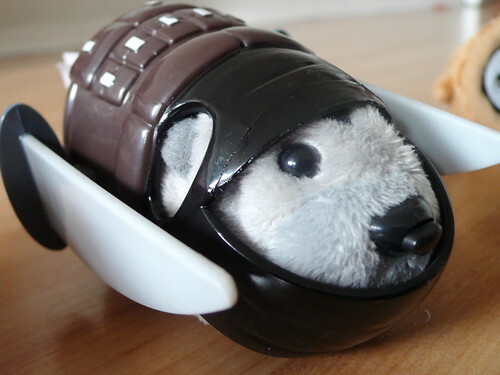 All these toys and gadgets get loads of things wrong, but get a couple of things right. I suspect that noticing the right and the wrong will give us a clue as to what the finised thing might be like. I'll report back. Perhaps I'll do some delicate watercolours and elegant drawings too.